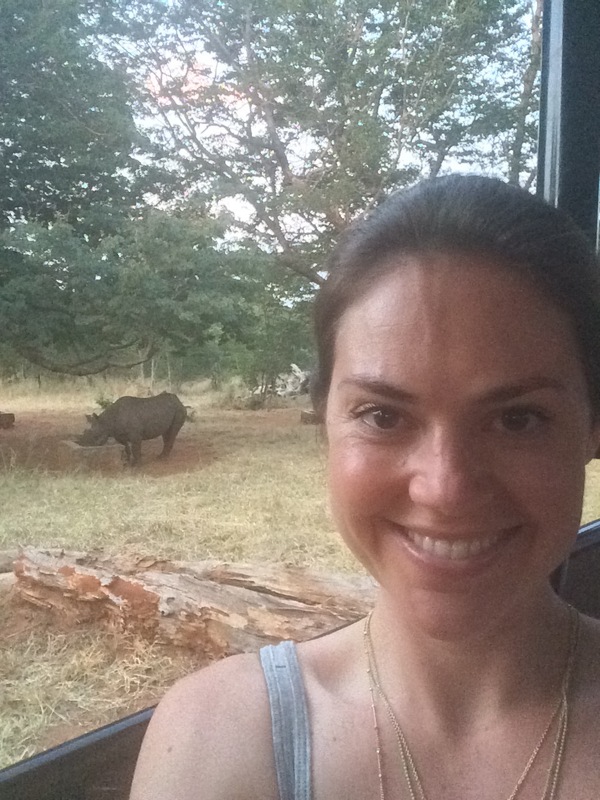 The whole point of my trip to Africa in the spring of 2015 was to work on a rhino reservation. 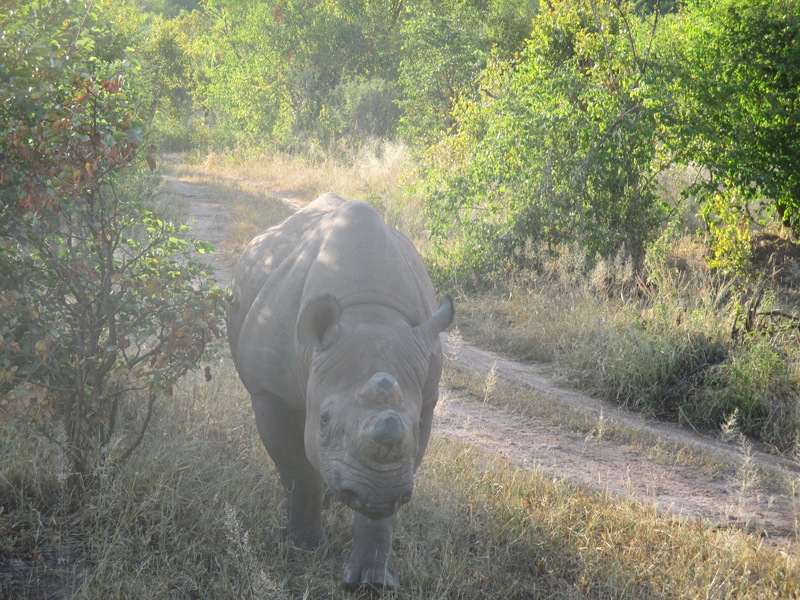 I chose Nakavango Conservation Programme because of the wonderful work that organization is doing to protect rhinos. 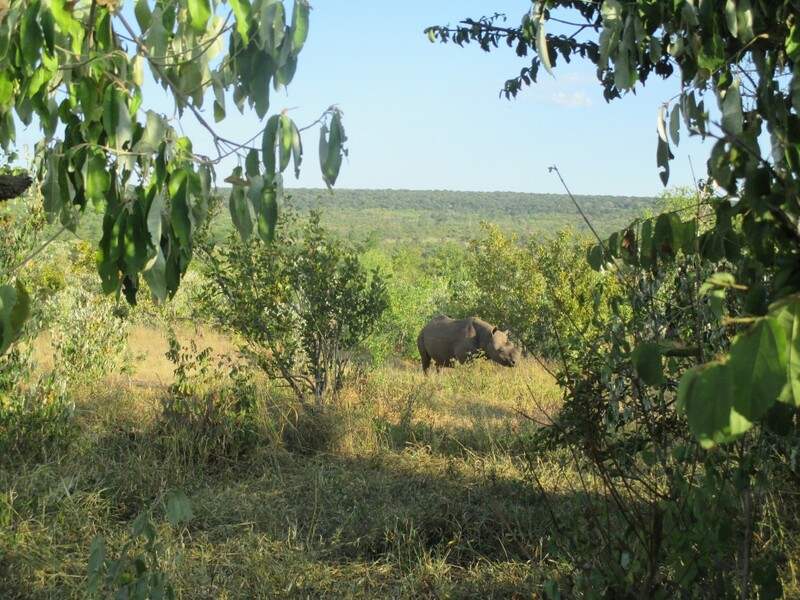 On this World Rhino Day and #ThrowBackThursday I am reminded of the time my fellow volunteers and I camped out in the bush one night. 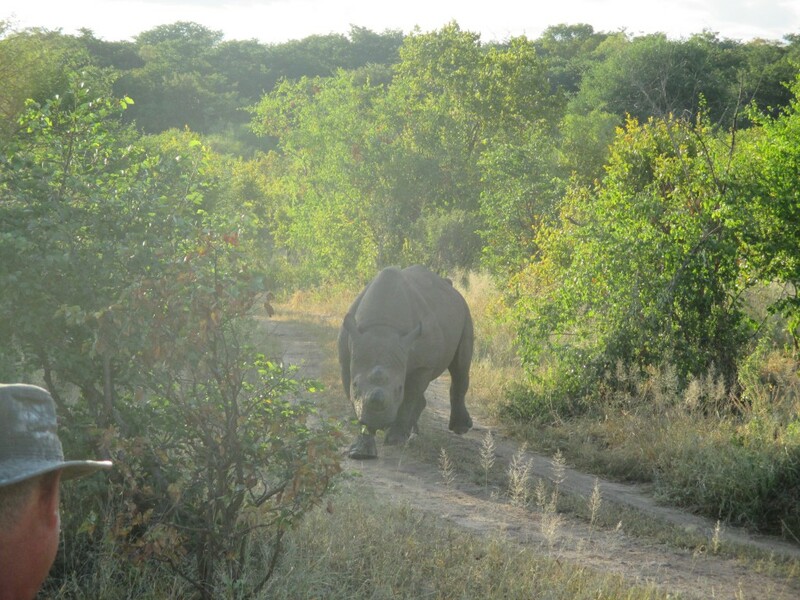 We woke up early in the morning and were milling around the camp site when a male rhino appeared on the scene. He was curious to see what our group was up to so as he started running towards us, we all scrambled to get inside the safety of the jeep. There was no real danger of course as he just came up to the truck, looked around and then kept on his way. But, as with wildlife, you can never be too careful. And as we were teasingly told by Dean, the camp director and guide, if it came down to shooting a rhino to protect one of us, he might just miss… Which, later that same morning the theory was almost tested. Dean, myself and one other volunteer went on a “walk” when we ran into a momma and her baby. She started huffing and puffing so Dean yelled at us to climb a tree, she charged us but called our bluff and stopped short about 50 yards out. Stupid me found it more exciting and thrilling than scary. Moments like those are what made my Africa experience so special. 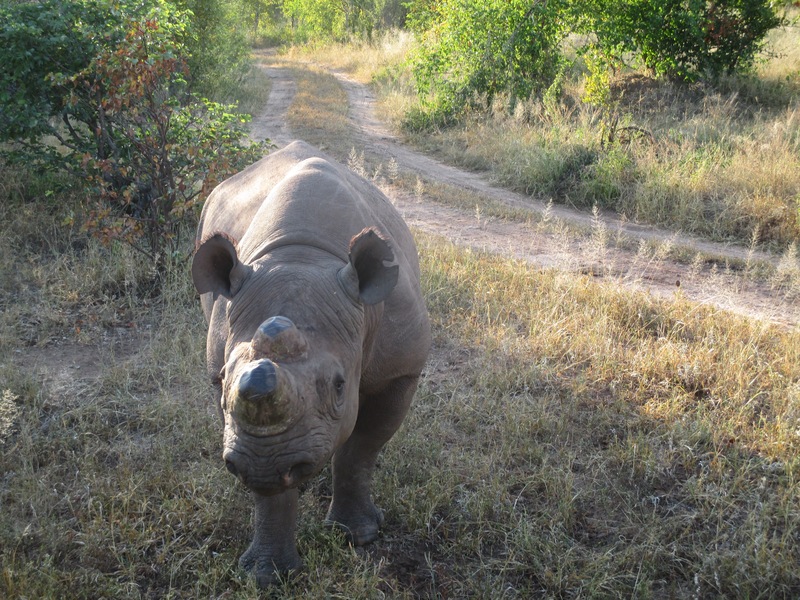 His horns were properly and humanely removed by Nakavango to keep him from being a target from poachers. 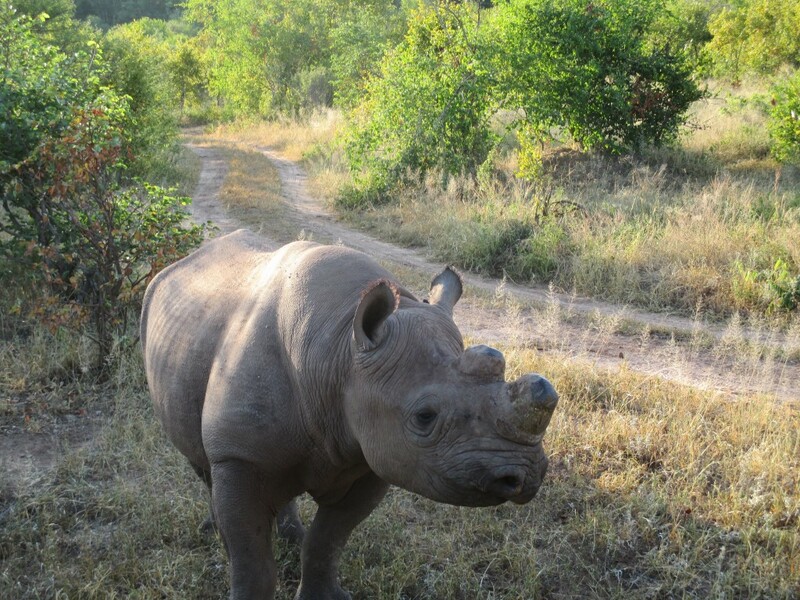 Without their horns (which can be properly cut down) a rhino is worthless to a poacher. 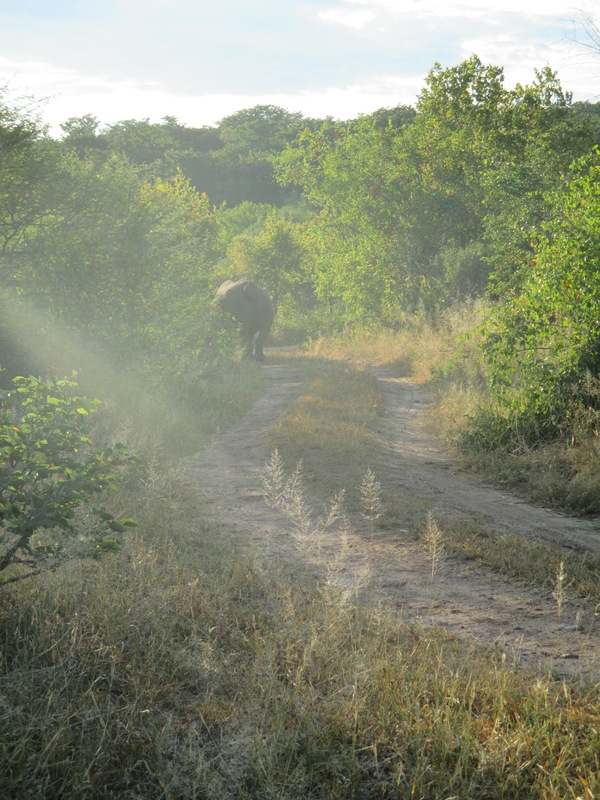 Here are some more rhino pictures from my time at Nakavango in celebration of this day! 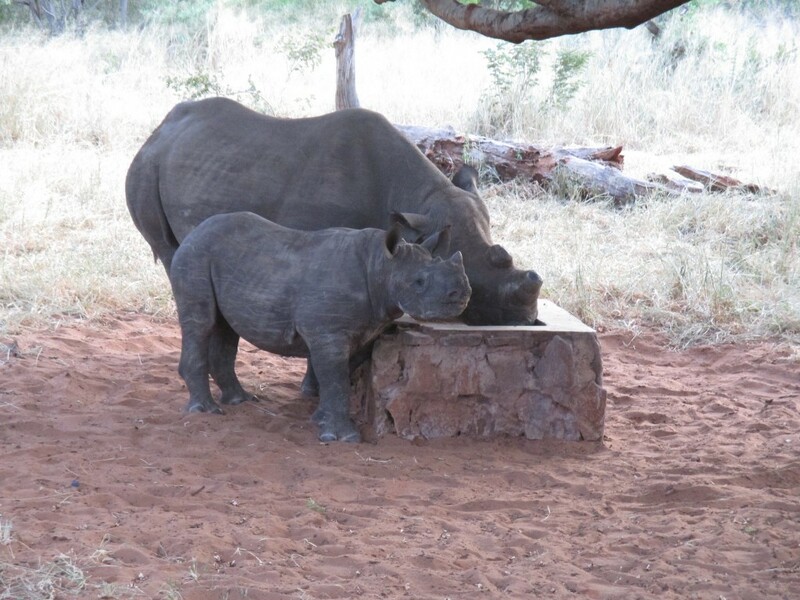 My very first day there we took an afternoon drive and saw a momma and baby eating at the feeding stations Nakavango set up. What a lucky girl! That time a momma made her anger known…This is how close she was to us when she called our bluff and backed off. This entry was posted in Green Life, Traveling. ← The best day of the year!